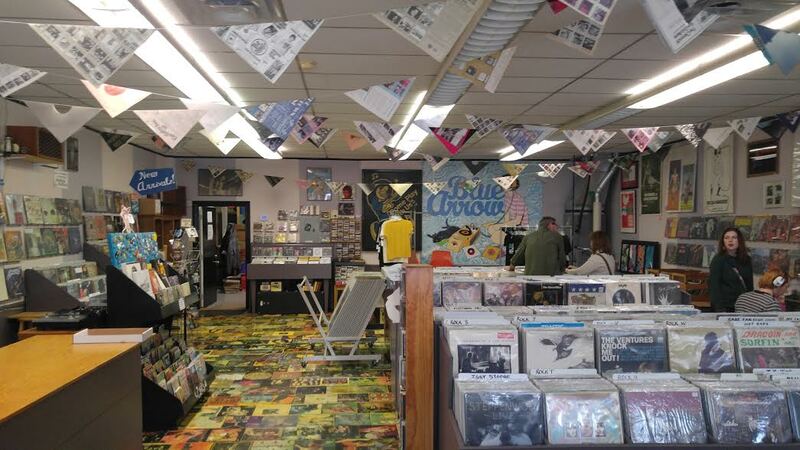 My first stop in Cleveland was Blue Arrow Records, located in the Waterloo Arts District, and surrounded by buildings adorned with street art and sculpture gardens. 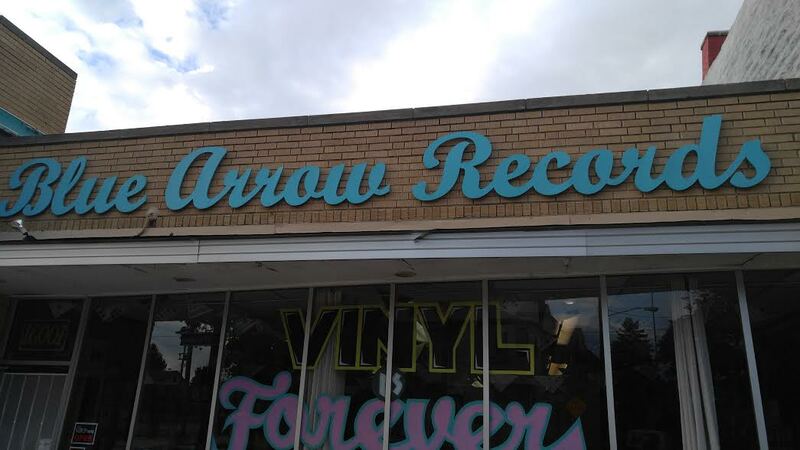 It definitely has a cool vibe to it, synthesizing a hip and eccentric interior with an anachronistic external aesthetic, punctuated by the eponymous neon blue arrow. 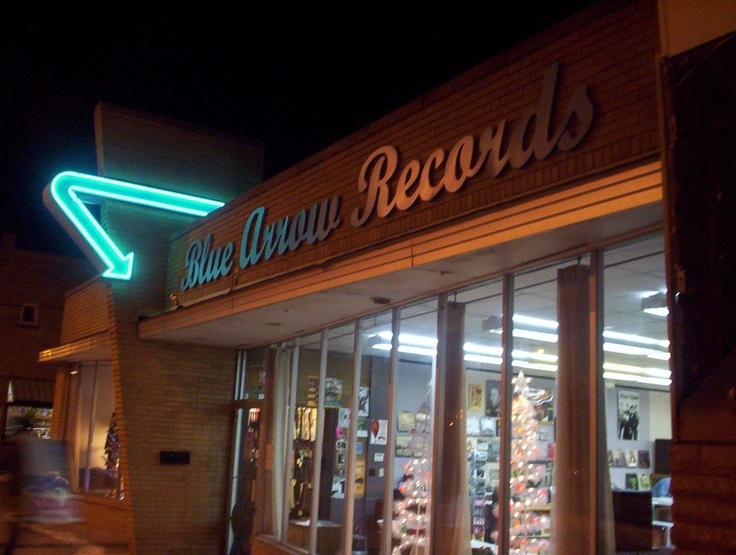 As far as the selection goes, Blue Arrow is a pure record store, and there aren’t any significant wayward VHS or DVDs to be found hiding out on their shelves. However, they do have a not-to-shabby collection of soundtrack records, of which a number caught my eye. To Live And Die In LA is a 1985 crime movie directed by William Friedkin, the lauded New Hollywood auteur who helmed The French Connection and The Exorcist. In many ways, To Live And Die In LA is an attempt to re-capture the success of The French Connection, with a distinctly 1980s flair. One of the keystones of that 1980s aesthetic that Friedkin wanted for the film was the soundtrack, which is provided in entirety by the band Wang Chung. Seriously. Of course, when I saw this soundtrack on the shelves at Blue Arrow for $3, it absolutely went home with me. I recently saw To Live And Die In LA for the first time, which was spurred on after reading William Friedkin’s autobiography. While it is a bit uneven, the movie is well designed, well acted, features one of the greatest car chases in film history, and is at least partially responsible for the rise of Willam Dafoe. 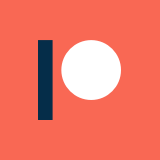 It is a pretty good time, subverts the tropes and expectations of the genre, and deserves a second look (to say the least). The Wang Chung soundtrack is just the cherry on top of an already pretty damn cool movie, and I highly recommend seeking it out. 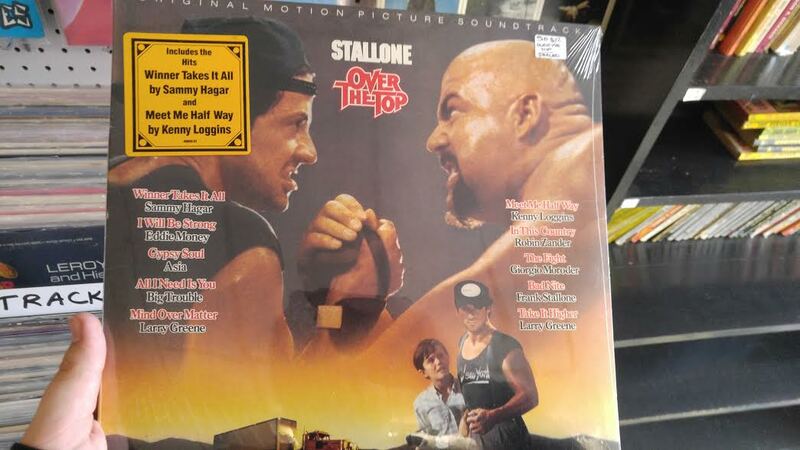 Over The Top is a 1987 Canon feature starring Sylvester Stallone that I covered on the blog some time ago. I regard this as a must-watch for bad movie fans, and it encapsulates a lot of what makes late 1980s cheese-ball flicks what they are. The soundtrack for the film is no exception, featuring such acts as Asia, Sammy Hagar, Kenny Loggins, and Sylvester Stallone’s brother, Frank Stallone. 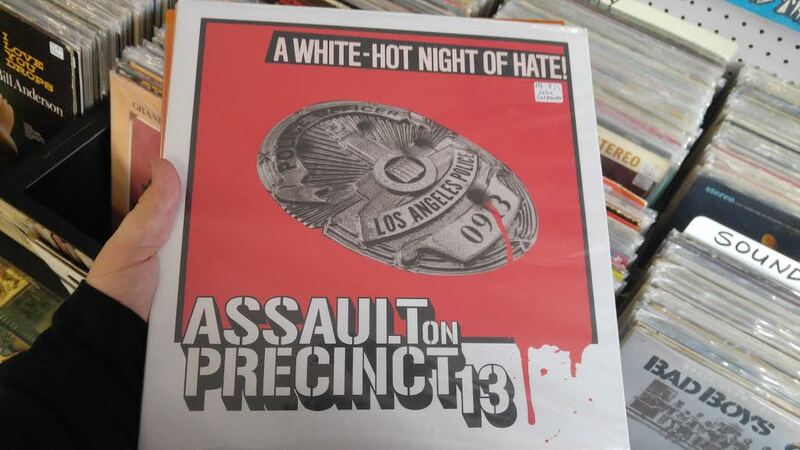 Assault on Precinct 13 is the movie that explosively introduced the world at large to John Carpenter. I personally still regard it as one of his best movies, and perhaps the most iconic siege thriller ever put to film. As with most of Carpenter’s films, it also features a synthesizer score created by the director, which is defined by simple rhythms and haunting drones. I like the score to Assault on Precinct 13 almost as much as the movie itself, and would have picked it up if it hadn’t been so expensive. There’s just no such thing as cheap John Carpenter vinyl these days.